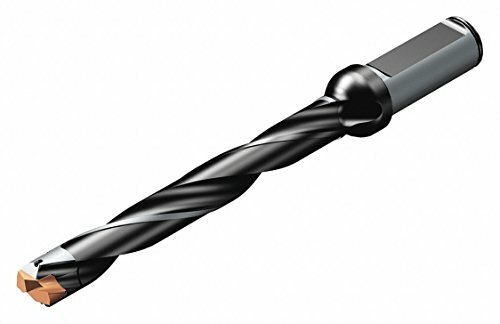 Designed for the intermediate hole-tolerance area of H9"H10, the CoroDrill 870 exchangeable-tip drill saves time and can be tailored to optimize applications through diameter range, step, and length possibilities. Used to make pilot holes prior to drilling with 6 - diameter drills or longer. Its rigid drill body is ideal for high penetration rates and excellent hole quality. For Use With: CoroDrill 870 Drill Tip Size 7"
View More In Drilling Inserts.